The disposable OPSoft mouthguard is designed for use during hair removal and cutaneous treatment with Laser, IPL or RF to protect the client's teeth. Eliminates pain of the teeth, gums, and buccal mucosa caused by the laser fluence and other energy. Insulates from electrical current produced by radio frequency. 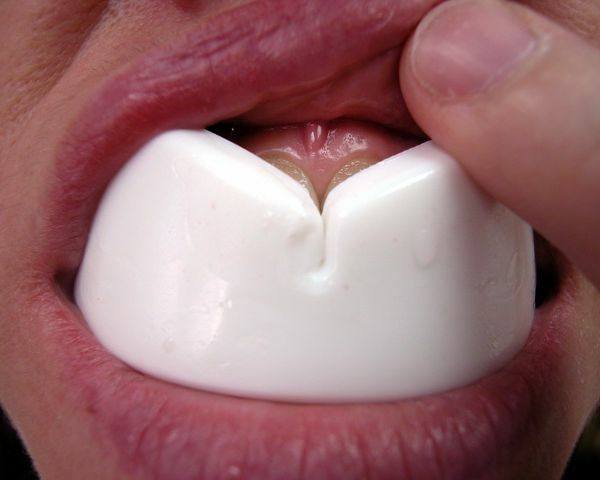 The soft rubbery polymer easily conforms to the buccal area. Even for patients with small features, there is no need to have the teeth touch. May be used over dental braces, repairs and implants. Eliminates pain and ensures protection while dispersing or insulating the energy and avoiding penetration. Spot test the OPSoft mouthguard with any new energy device before use. Sold in a pack of 10 single use mouthguards.